Sunglasses probably count as one of the most useful wearable inventions. It not only protect our eyes from harmful UV rays in sunlight but also makes us look trendy and cool. Most people especially in a sunny coutry like Singpapre find direct sunlight a bit uncomfort when outdoors or doing some sports. Healthcare professionals also recommends having some form of eye protection using suitable eyewear like sunglasses to protect our delicate eyes from harmful ultraviolet radiation (UV). The blue light portion in sunlight have also been known to cause eye related problems. Which is why all of us need 1 or more pair of sunglasses that offer protection against excessive exposure to sunlight during our daily activities. 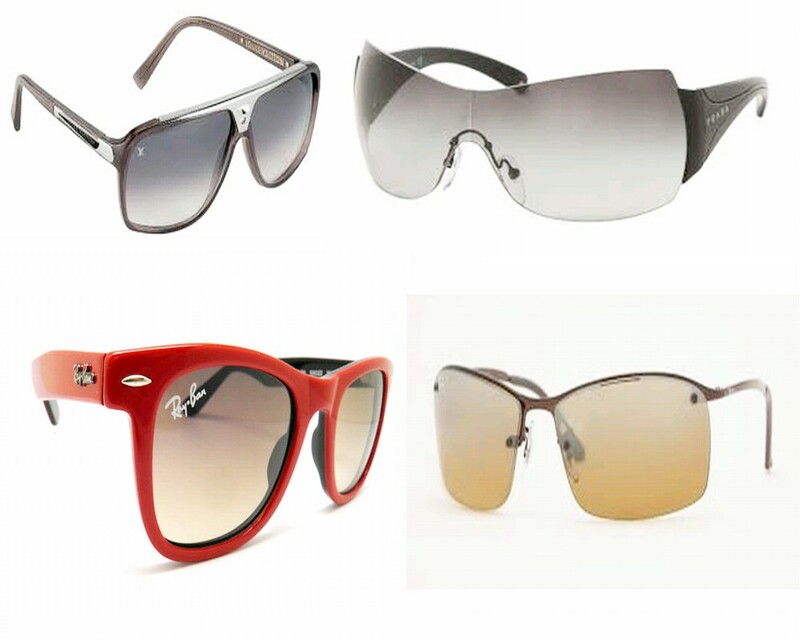 It doesn't hurt that there are many unique sunglass designs to choose from to help you accessorize for that cool look. Excessive exposure to ultraviolet radiation can cause both short &blong terms eye ocular problems such as cataracts and various forms of eye cancer. Which is why medical experts always advise the you about the importance of wearing a good pair of sunglasses to protect your eyes. As in all things relating to health, prevention is always the better route. You might not know it but your kids are particularly vulnerable to the sun's harmful rays. Sunglasses are really important for children because their young ocular lenses are thought to transmit far more of the harm components of sunlight than adults. This is because adult's ocular lenses "yellow" with age and filters out more of the harmful radiation. Which is why it is important have suitable sunglasses for adults and kids alike. It important to choose the right pair of sunglasses that offers adequate protection. Buyers should look for the "UV400" label that means the sunglass lens can block out 99-100% of UVA and UVB light with wavelengths of up to 400nm. A common mistake in choosing sunglasses is to think that a dark lens will definitely filter out more of the harmful UV radiation and blue light as compared to light lenses. Dark lenses that doesn't adequately filter out UVA & UVB can actually cause more problems because the low light levels passing through the inadequate dark lens cause our eye's pupil to open wider. This means that an inadequate dark lens can actually result in more harmful radiation entering our eyes. Sunglasses are designed for different purposes by combining different lens attributes, frame types & materials and overall design cues. For example, a blue blocker lens meant for outdoor might not be suitable for driving because the lenses can affect color vision and be dangerous in traffic if colored signals are not perceived correctly. Are Overpriced Expensive Branded Sunglasses Better? Most consumers may think that a more expensive pair of sunglasses is better at protecting your eyes. However, a study reported that "Expensive brands and polarizing sunglasses do not guarantee optimal UVA protection". Even the Australian Competition and Consumer Commission have stated that "consumers cannot rely on price as an indicator of quality". This means that an affordable pair of sunglasses might even offer better or at least comparable eye protection characterisitic compared to overpriced branded sunglasses. Different lenses can have different attributes makes those sunglassses suitable for specific activities. For example the sunglasses with polarized lenses can cut out reflected glares that makes them useful for people who loves watersports like fishing and sailing. Gradient lenses are darker at the top where the sky is viewed and light nearer the bottom portion. This makes them useful outdoor use by blocking excessive light from the sky. While mirrored lenses are more functional in that it can reflect away excessive light while keeping the lens itself cooler especially under prolonged sunlight exposure. There are also many other lens types that selective blocks different part of the visible and invisible light spectrum. For example there are specialize yellow lenses that enhances depth perception. Eyeweear frames can be made from a variety of materials. The most common materials are plastic, nylon, metal or metal alloys. Nylon frames are often used in sports sunglasses because of the lightweight and flexible frames. The inherent flex strength reduces the chances of breakage can also help the sunglasses have a more secure grip when worn on the face. Metal frames are more rigid which makes them more suitable for office wear for that sophisicated look. There are many design variations that can be incorporated into a good pair of sunglasses. For example, spring loaded hinges can also be used on rigid frames to help them grip better and prevents accidental breakage from overextending the frame hinges. We hope this article have been useful in your sunglasses buying decision. Do stay a while to browse our site and choose from our range of products.